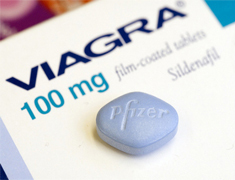 Viagra attorneys Rhett McSweeney and David Langevin are providing free legal consultations to individuals and families injured or harmed as a result of the use of Viagra, Pfizer’s blockbuster erectile dysfunction drug. If you or a loved one has been injured by the use of Viagra, call 1-877-542-4646 or use our private contact formto receive a free, confidential legal consultation. JAMA Internal Medicine, an international peer-reviewed medical journal, published a study in 2014 that shows a correlation between Viagra use and an increased risk for melanoma, the most dangerous type of skin cancer. If left untreated, this cancer can spread and ultimately cause death. 12/15/2015: A number of plaintiffs in Viagra melanoma lawsuits petitioned the Judicial Panel on Multidistrict Litigation to have all pending cases centralized before a single federal judge. The preferred court of the plaintiffs is the Northern District of California where 15 cases are already pending. You may be entitled to compensation for medical bills, lost wages, pain and suffering and other damages if you or a loved one has suffered any of the above symptoms. Feel free to contact a Viagra attorney at 1-877-542-4646 or by using the form below. Your information will remain confidential and a Viagra lawyer will provide you a free legal consultation.